Don’t risk the quality and reproducibility of your results. 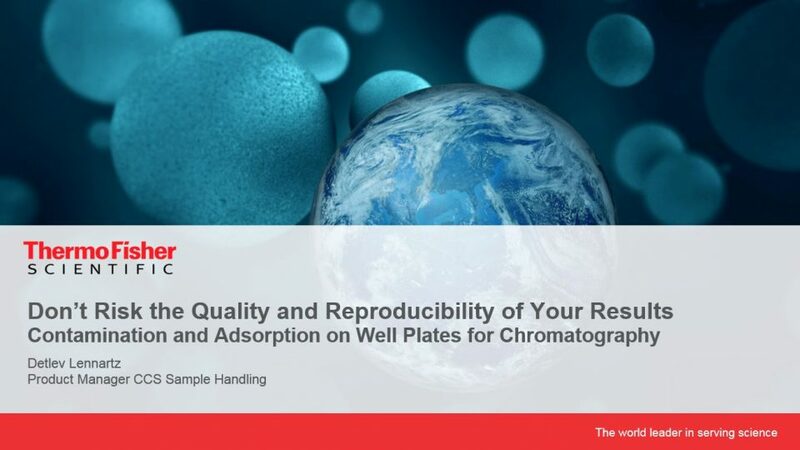 Contamination and adsorption on well plates for chromatography. Find out why switching from glass vials to well-plate platforms could make all the difference for your laboratory in this expert on-demand webinar.